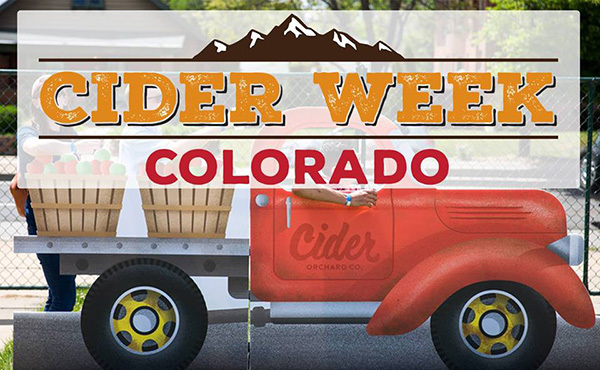 1) Colorado Cider Week kicks off on Saturday with The Pressed Fest in Longmont. 2) Cider In Love—an “online curator of fine, heritage ciders”—has launched. The marketplace currently features Alpenfire, Eaglemount, Liberty, Orchard Hill, Redbyrd Orchard, Slyboro, Snowdrift, South Hill, and Tilted Shed. 3) Food & Wine believes that Dry Cider Deserves Your Attention. And Cider Culture shares How to Create a Summer Cheese Board. 4) Cider Chat Episode 131 is all about Cider Barrels. And Episode 1 of the Food + Science Podcast features the cider-related work of Greg Peck, Chris Gerling, and Susan Brown at Cornell. 5) Phenotyping Apples with Modern Techniques and Historic Texts spotlights the work of Greg Peck in identifying misnamed varieties in the US such as Foxwhelp. 6) Imbibe takes us on an Inside Look of Eris Brewery and Cider House in Chicago. And Cider Culture interviews Jacob Lagoner of Embark Craft Ciderworks in Williamson, New York. 7) Crafty Nectar wonders if more stringent labeling requirements would help in #RealCider – is transparency the answer? And Fiona Beckett of The Guardian believes The future of craft cider looks rosy. 9) On tap: the Minnesota Craft Cider Festival, Pour the Core: Brooklyn, and the opening of Cider Week Hudson Valley. 10) Along Came a Cider reviews Rootstock Ciderworks Belgium and Shacksbury Citrus Spritz. Cider Says shares tasting notes from Schilling Cider House Visit 32 and reviews Apple Outlaw Pineapple Getaway and Le Brun Cidre Brut. Cidercraft reviews Ulee’s Light Cider Dry. Cider Couple review Downeast Drier Side. Cider Revival reviews Graft Cider Farm Flor. The Cider Drinker reviews Smirnoff Passionfruit & Lime and Burrow Hill Perry. Cider From Poland interviews Cydr Ignaców. And Cider Explorer reviews Cydr Ignaców Czarny Ignac 2015, Adam & Eva Cider Adam, and Redbrook Chilli Cider.